Meeting with decision makers, closing big deals, selling exciting products and services, and earning more than $100,000 annually. There’s hardly anything wrong we can find about the job of a Sales Engineer. But how to get this amazing job? How to succeed in an interview? We will try to find the answer in this article. Whether you have the technical knowledge of the field. For some companies a degree in engineering will suffice, other will use technical questions in an interview, or even short case studies, to test your real level of technical knowledge of their field of business. Whether you have a salesman in you. 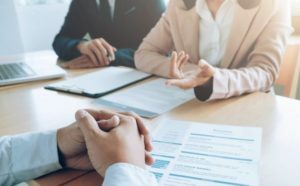 Technical or non-technical, good sales person has to understand the customer, basic sales technique, and they must know how to work with people to convince them to make a purchase. In a role of sales engineer, one extra ability is needed: translating and explaining highly complex technical information to customers and clients, focusing on revealing how a product or piece of equipment can solve specific problems. This ability distinguishes a sales engineer from a typical sales guy, and it for this ability that companies value their sales engineers greatly, and pay them as much as they do. Whether you fit in the team in the company. This is more about your personality, attitude, and ability to work and interact with other people. Saying it simple: they do not want to hire only a good sales guy. They want to hire a good colleague. Once you convince them to meet the three criteria, they will hire you. Let’s have a look at the questions they will use in the interview, while testing points 1., 2., and 3. Every serious employer will start the interview with a few personal questions, asking about your education and experience, goals and values, motivation and intentions. They observe not only what you say, but also how you talk. Are you confident, or over confident? Are you interested only in your own personal career, or do you care also for the well-being of your employer? Is there any enthusiasm in your voice? Do you truly want to get the job with them, or do you apply for several other offers at the same time? Why did you leave your last job?/Why do you plan to leave your present job? Tell us something more about your technical education. What do you know about the products/services we offer in this company. Do you think your technical knowledge is adequate to sell them? Show some confidence. Try to convince them that you applied for the job on purpose, that you know what they do in company, and feel ready to help them improve their sales. Show enthusiasm and motivation. That is the right way to start your interview, and to build the best possible position for the rest of the hiring process. 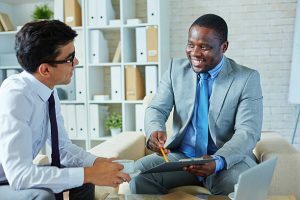 When I recruited sales engineers for my client back in the day, I considered the role play the most important part of an interview. We gave each candidate an in-detail description of a service (in this case it was deployment of a network security solution on clients’ side), and some time for preparation. Their task was to try their best to sell us the service, or at least explain the benefits for the business, in a non-technical language. You can expect to deal with similar task in your interview. How should you approach it? First of all, you should show some courage. If you hesitate to do the role play in an interview, they won’t count on you going out and talk to real clients. Secondly, do not hesitate to ask them questions, both before the role play and during the role play. Good salesmen always ask a lot of questions. They understand that a perfect understanding of both the product and the customer is crucial to make the most efficient sales talk. Remember that they do not expect to hear a flawless sales pitch in an interview. But they expect to see the right attitude to the task, and a basic knowledge of what it takes to sell a technical thing to someone with little to none technical knowledge. These questions have become very popular in 21st century. In my opinion they became popular for a good reason. Inquiring about your action (or opinion) in a certain situation you experienced in the past, employers try to understand how you’ll handle similar situation in the future. Describe a conflict you had with your colleague. Tell us why the conflict started, and how you manages to get over it. Behavioral questions are not easy, but you can learn how to answer them, even if you have no previous working experience. If you want some professional help, you can check the eBook I put together, called 15 Most Behavioral Questions and Answers. It includes answers for both people with and without experience, and it is one of the three parts of our Interview Success Package. Thank you for checking it out! These questions will vary from one interview to another, since they are related to the product or service which you will sell (help to sell) in your new job. Needless to say, a hiring manager working for a company that specialize in custom ERP solutions will ask you different questions than a hiring manager from a company that specializes in heavy machinery, or in rail system signaling. In my opinion, the technical questions are the least important part of an interview. One can always be taught the advantages of certain product/service, and how to translate them to the business language. This can’t be said about sales skills, or right attitude to work–it is difficult to teach the two. Nevertheless, you may get some technical questions in your interview. Research about the company and what they do. Try to find the list of their existing clients. Learn something about the technical specifications of their products. This should help you to get ready for the technical questions. Sales engineer is a fantastic job. But just like with any other great things we may attain in our life, it is not easy to get this position. You should prepare for a difficult interview. Personal and behavioral questions, a role play, and sometimes even a few technical questions. Refer to our Interview Success Package if you need some help with the questions, get ready for the role play, and study the website of the company and their product portfolio to get ready for the technical questions. We believe you will succeed, and wish you good luck!